This Valentine's Day, tell that bro to get lost*, and lose yourself in a good book! 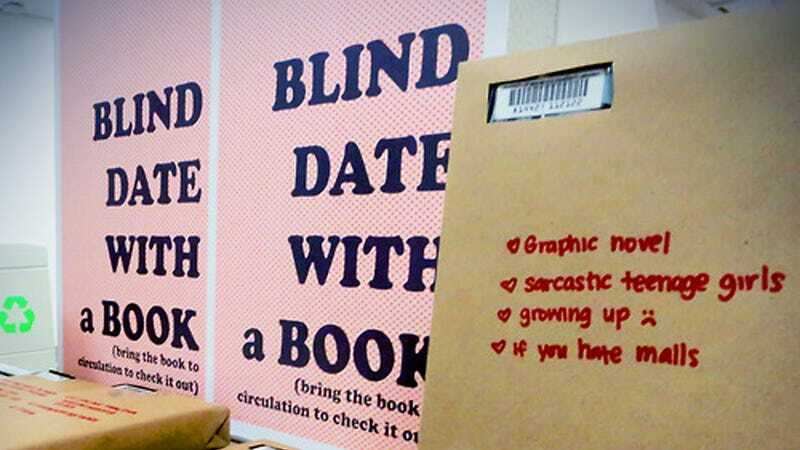 Inspired by Worthington Libraries, Sylvia, a librarian in Albuquerque, NM, put together a "blind date with a book" program. We started with ~40 books. Two hours later, all but four had found homes with library patrons (sorry, Flush, Mixed-Up Files of Mrs. Basil E. Frankweiler, Persepolis, and The Things They Carried, they don't know what they're missing). This is awesome; I want to do it! And — not to peek through the coffee shop window to get a glimpse of the date before you walk in, but — that's totally Ghost World, right? *unless you like or love him, and then just tell him you'll be about an hour.